A school in Melbourne's western rural–urban fringe that refused entry to a Sikh student because he was wearing a turban has maintained its position on its current uniform policy. Melbourne's Melton Christian College (MCC) has provided a written response to the Victorian Equal Opportunity and Human Rights Commission (VEOHRC) in which the school refused to include any additional items amid the existing permitted uniform protocol. The Sikh family of a 5-year-old boy claims that the institute's uniform protocol inflicts indirect discrimination against their religious belief. In an interview with SBS Punjabi, the boy's father Sagardeep Singh Arora alleges that MCC has discriminated against his son by placing uniform conditions on his enrolment. "It is disappointing that my son has been forced to abandon his religious practices and identity to access to an education of his choice," Arora tells SBS. "We lodged a claim with the Victorian Equal Opportunity and Human Rights Commission (VEOHRC)." Arora explains, "In the claim, we mentioned that according to the sections 9 and 38 of the Equal Opportunity Act direct and indirect discrimination on the basis of a person’s religious belief is illegal." "While there is exception in section 42 of the Equal Opportunity Act that permits schools to 'set and enforce reasonable standards of dress, appearance and behaviour for students,' our claim is that this exception does not apply - because the school’s uniform protocol is not reasonable." "For a standard to be reasonable it should not permit unjustifiable discrimination." "I believe the historical nature of the uniform standard does not take into account or properly reflect the current school community views in which the school is operating," says Arora. As to why the family chose to enrol the boy in a Christian school, Arora says, "my son wants to join his friends and cousins who are already studying there. This school is very close to our residence." "Moreover, it is very hard for me to explain him why he can’t be part of this school." Army reservist, Officer Cadet Satbir Singh Kahlon has been featured in the new videos showcasing diversity in the Australian Army and the AFL. Arora also argues that it's not actually students of different religious backgrounds which the Christian school prohibits, which he argues makes the inflexibility uniform policy hypocritical. "On a general note, it doesn’t look good for a school to admit students of different religions for their revenues but not allowing them to practice their beliefs," he says. Arora says that while he understands and respects uniform policies in general, he says that in this case the school is being unreasonable. "I believe having a common school uniform is important in promoting school identity and integration," says Arora. "However, it is also important to recognise that there is no hindrance to the practice of various cultures and faiths." "Students should be able to wear their significant religious symbols and articles of faith. It’s immoral for a school to not allow students to practice their beliefs. "It’s immoral for a school to not allow students to practice their beliefs"
"My son really wanted to attend MCC, which is one of the best schools in the Melton area. The revised policy allows officers of certain faiths to grow beards up to a certain length and wear headgears. Arora said he has had a dialogue with the school in which he cited other examples of Australian institutions who have re-evaluated their policies in similar instances. "We were in discussions regarding the importance of hair & turban in Sikhism* and acceptance of turban as uniform by different organisations (like schools, army**, and police) in Australia and the other countries," says Arora. "Yet, the college has refused to review their uniform policy." Given the long history of the Sikh community in Australia, Arora says it's disappointing that they still struggle with issues such as this. "Australian Sikhs have a proud history," he says. "The invaluable contribution of Sikhs as cameleers – wrestlers – Anzacs – hawkers – entrepreneurs can never be forgotten." "While practising our religious beliefs, we wish to show an expression of solidarity with the wider Australian community." "And all we demand is respect for our religious beliefs." "It is very hard for me to explain him why he can’t be part of this school." 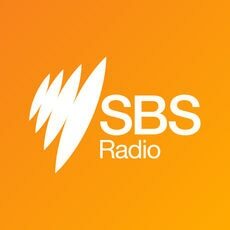 SBS Punjabi has contacted Melton Christian College for their comments. MCC’s response to VEOHRC mentions that school has always admitted students from a wide range of faith-backgrounds. "Our college's history represents over thirty years of inclusive religious tolerance. For thirty years our children have been in classrooms and playgrounds, learning, growing, and playing side by side wonderfully oblivious to their families’ extensive religious diversities. We are proud of that heritage of inclusiveness. "We acknowledge the disappointment that Sagardeep and his family feel. We respectfully recognise his disappointment that the uniform protocol of this school mean that non prescribed items are not permitted to be worn in addition to the school uniform. "We have considered the complaint and our options carefully. The result is that we have agreed that college uniform will be maintained as it is, without permitting additional items." The concerned family have now lodged their claim with Victorian Civil and Administrative Tribunal (VCAT). There will be a three day VCAT hearing on the first available dates after 16th April, 2017. The boy's parents had complained to the Anti-Discrimination Commission before having an apology and reaching to an out-of-court settlement with the school. * Sikhism is a small but growing minority religion in Australia that can trace its origins in the nation to the 1830s. Australia is home to more than 72,000 Sikhs, a population that is expected to rise when the latest census results are released this year. ** The Australian Defence Force also has a flexible policy concerning religious attire, providing the wearing of it does not place the person or their colleagues at any undue risk during military operations. While Sikh soldiers in the United States are locked in protracted legal battles with the US government for their right to wear turbans while doing their military duty, a turbaned Sikh has emerged as the face of multiculturalism in the Australian Army. An army reservist, Officer Cadet Satbir Singh Kahlon has been hailed as the poster boy of diversity in the Australian Army after he has been featured in couple of videos showcasing multiculturalism in the organisation. Moninder Singh becomes first Sikh elected to Blacktown Council. Here he is in conversation with SBS Punjabi's Preetinder Singh Grewal. A turbaned Sikh, Satbir Kahlon says the Australian Army has very well accommodated his articles of faith which has lifted his morale. Western Australia's rich Sikh history will come to life thanks to the addition of interpretive panels along the Australian Sikh Heritage Trail in Riverton. Here is WA Sikh representative in conversation with SBS Punjabi's Preetinder Singh Grewal. Devpaal Singh is the first Sikh to become a member of the Multicultural NSW Advisory board. Not just that he is also among the youngest members ever appointed to this board. Tune in for this special interview with the young and dynamic Devpaal Singh who is doing the young Indian-Australian community proud. When Adelaide-based Tejvarinder Singh joined South Australia Police force in 2010, he created history by becoming the first turbaned Sikh officer to be recruited by SAPOL.